This post is being written on Sunday the 28th of October, as a storm bears down upon the Megalopolis. Dire warnings and predictions of a somewhat Assyrian Apocalypse (water) are filling the airwaves, and here in Astoria a palpable sense of foreboding fills the air. 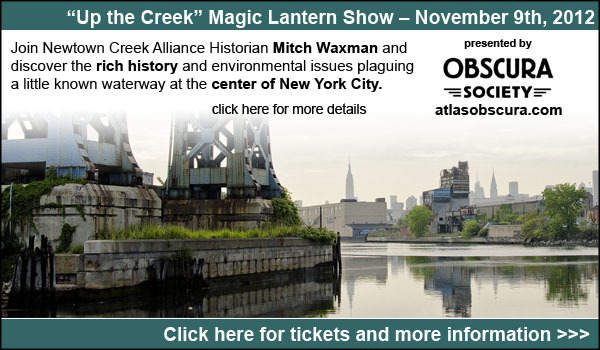 My thoughts, of course, involve how my beloved Newtown Creek will fare. Zone A, the mandatory evacuation area as defined by the “powers that be”, includes a broad swath of the Creek. 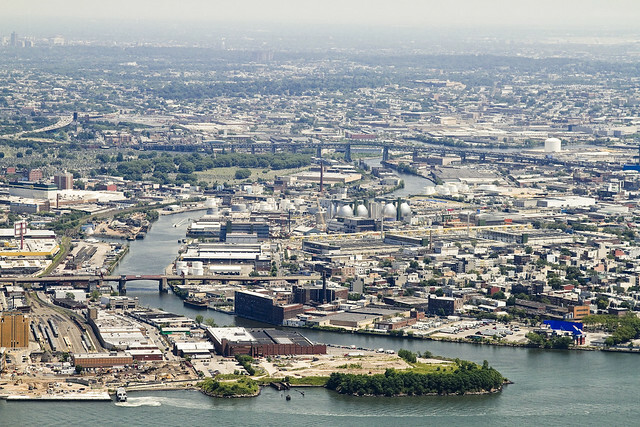 Mainly west of the Greenpoint Avenue Bridge, but points eastward can expect some disruption of normal tidal patterns as well. This is based on what I’ve read at NYC.gov though, I am holding no special “inside knowledge”. It’s a question I often wonder about, would a storm surge actually manage to make it through the various right angle turns and engineered courses of the Creek? I suspect that part of the reason for these obstructions to “flow” were engineered into the bulkheads in the first place might have had something to do with such circumstance, but this is merely speculation. 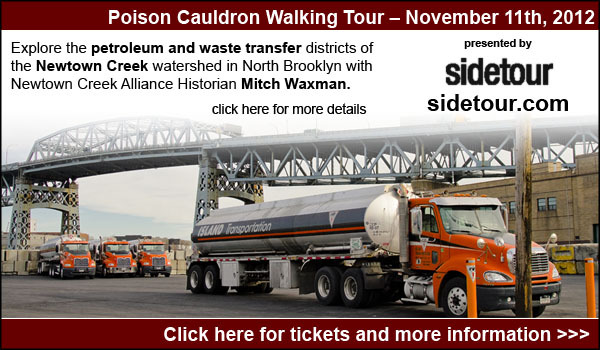 The unfortunate truth is that our friends in Greenpoint and Long Island City are likely going to have an unpleasant few days- at least. Let’s all hope that they make it through the storm with as little stress and trouble as possible. A few emails reached me today asking what to do, listing the locations of the senders and inquiring as to whether the sender would be “safe” sheltering in place. Honestly, I am not the person to ask, and if the Mayor of New York City is telling you to get out of Dodge- you should take him at his word. Whatever you might have to say about Michael Bloomberg, no one can accuse him of being an alarmist given to wild flights of panic. 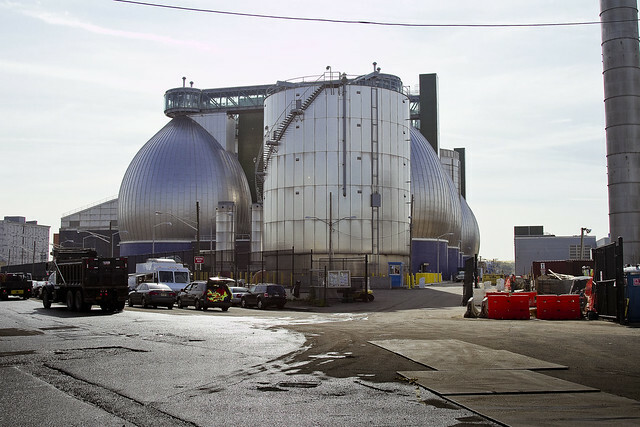 Regarding North Brooklyn, one thing I can tell you categorically is that the reason that the Newtown Creek Waste Water Treatment Plant is located here is because it is located in the “bottom of the soup bowl”. This soup bowl is formed by the terminal Morraine of Long Island, the Palisades, and Staten Island. A significant amount of the water dumped on NY in the next 24 hours is headed here, regardless of any storm surge. Everyone take care, batten down the hatches, and if anything crazy happens- react calmly and freak out afterwards. Presuming that power and Internet access are still available, I’ll be posting tomorrow at the usual time. If you still see this post on Tuesday, you’ll know that Astoria is off the grid. Don’t worry about me or my little dog, as we live on a hill. 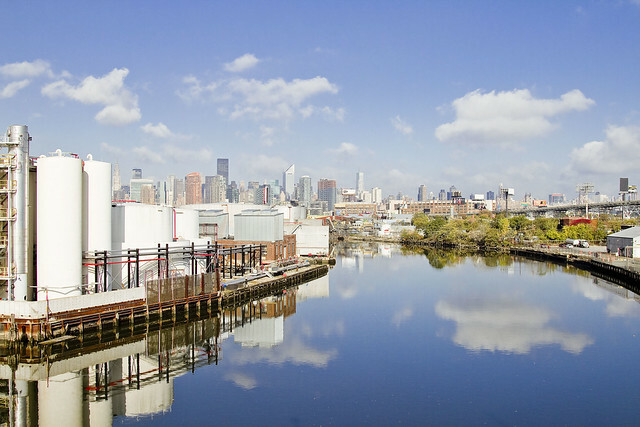 I’m thinking of you Newtown Creek (and Astoria et al) community. Hope you are ok.
What, exactly, is inside a modern traffic light? More on "The White Lady of Astoria"
The Terracotta House, or... what is that?